Happy New Year friends! 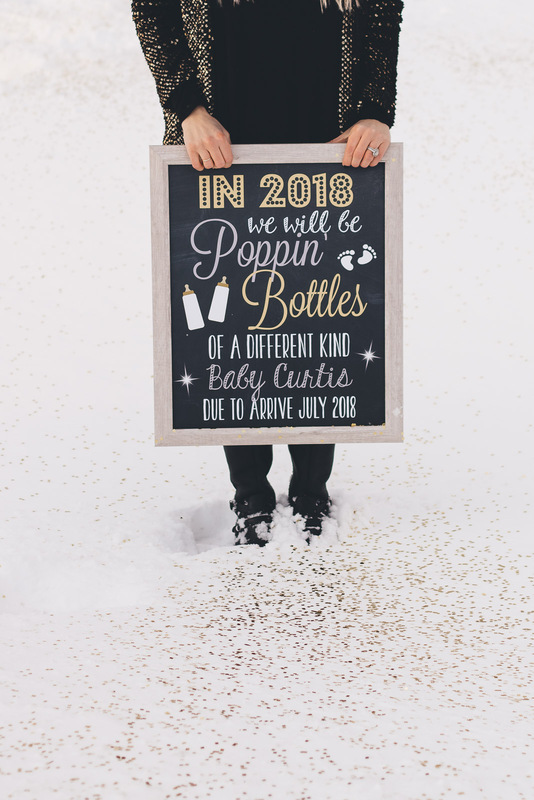 We haven’t had a lot of chaos in the past year so we thought ringing in the new year with some BIG news was fitting. And if you’ve been following along, you know I’m being totally sarcastic. This year was INSANE. 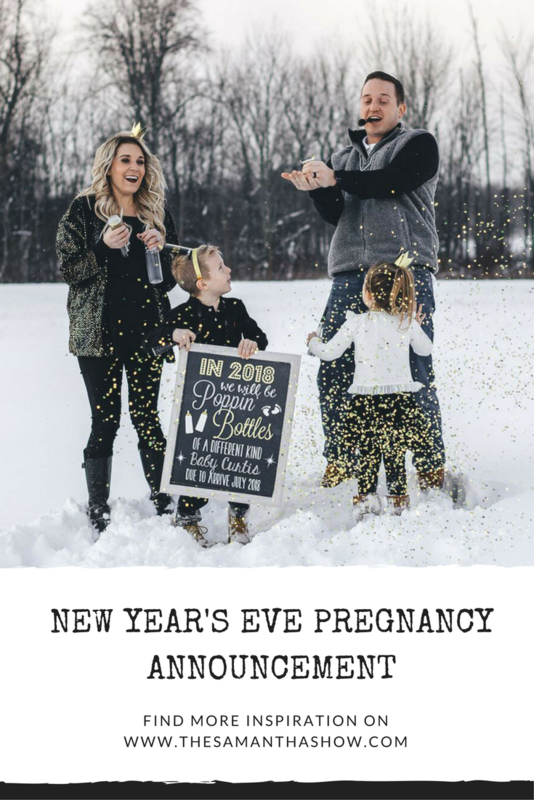 And that my friends, is how this New Year’s Eve pregnancy announcement comes into play. 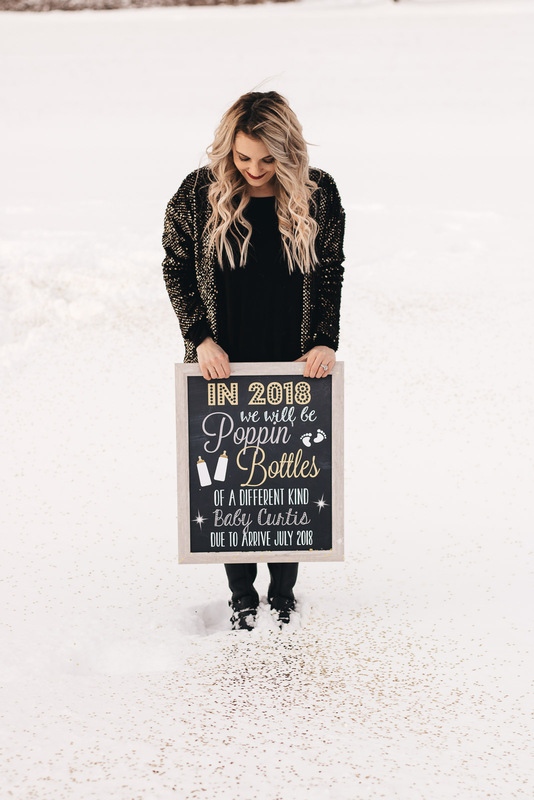 We’re expecting our third bundle of joy this July! Woo! Are you shocked? So am I if we’re being honest. We had talked about growing our family next year but were undecided. We weren’t sure we wanted a third and when was a good time to start trying. Well I guess this took the guesswork out of it, huh? Baby #3 will make it’s debut when the kids are 4.5 and 6.5 years old so the gap is significant but not too far apart. They are super excited and I know Lady is going to be the best mother’s helper ever. Babies are her life! N had a hard time understanding when we told him because according to him, “I wasn’t even fat yet”. Oh young one, just wait. 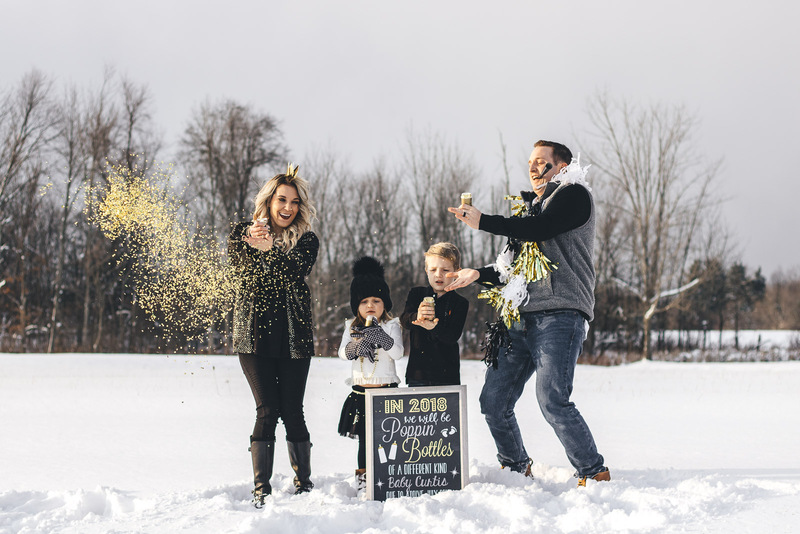 I’ve seen SO many pregnancy announcements over the past few weeks and as much as I would have loved a Christmas announcement, I wanted to do something different. 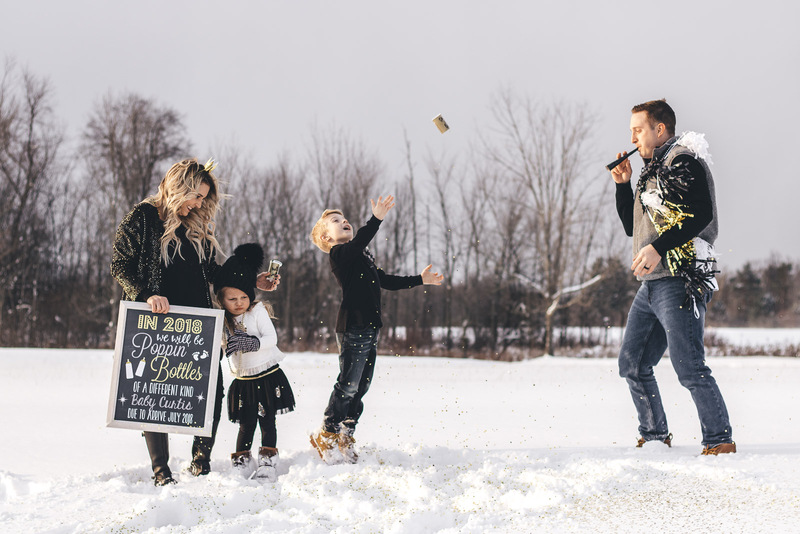 So when I turned to the interwebz for ideas, this New Year’s Eve pregnancy announcement was the winner! I found this print on Etsy and then sent it to FedEx to get printed. 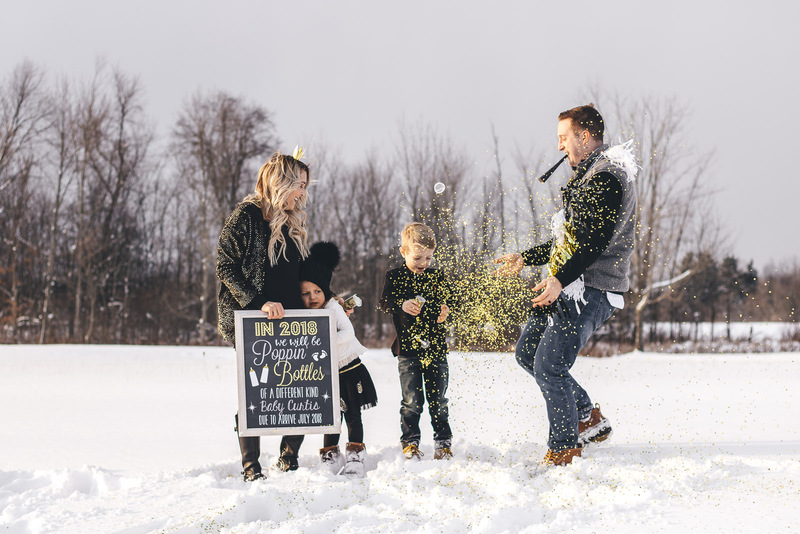 I grabbed a bunch of New Years Eve decor and accessories from Target and scheduled a shoot with my photographer! To be honest, I’m still in a little bit of shock and I will share more about that in my bumpdate later this week. I plan on posting those every Friday so if you’re interested in that kind of stuff, stay tuned! I can’t thank you all enough for the kind words and excitement you’ve shared with us. We are so lucky to have such an amazing support system and cannot wait to share this journey with you. Congratulations! 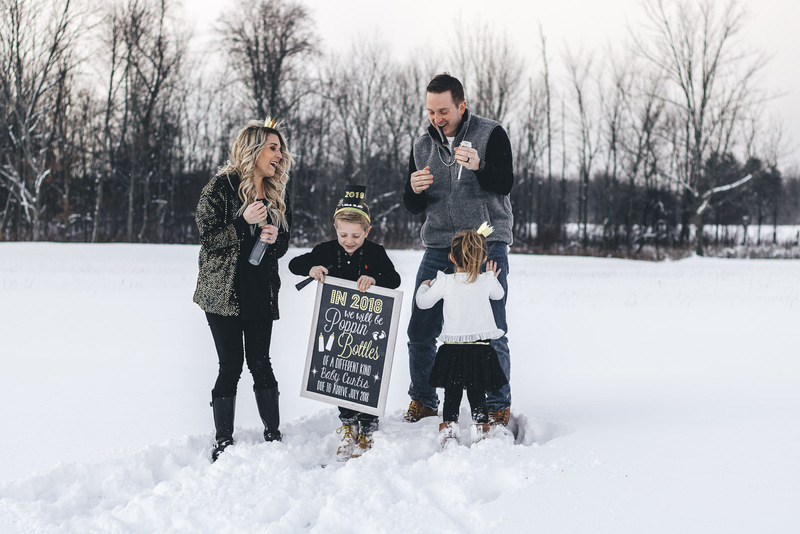 What an exciting way to kick off 2018! Thanks girl! I appreciate it! My older kids are just over 6.5 and 4.5 years older than my six month old. It was rough starting over but the kids are so good with him. They’re always wanting to help and “make sure he’s happy.” Congratulations again! I think I’m most worried about how close they’ll be with the new one since it’s such an age gap but I hope they’ll still be close! Congrats, Samantha! What a beautiful family.